PowerSchool is where you obtain information about your child’s grades and attendance. If you need a parent account, please use the button below to submit a form to our Systems Manager. Thank You! The Los Alamos JJAB strives to help youth and families in our community feel connected, valued, and recognized. By partnering with other community organizations, JJAB assists with concerns regarding youth and family issues by providing individualized case management, parenting workshops, youth activities and free classes/training. A critical ingredient in the safe school recipe is the classroom response to an incident at school. 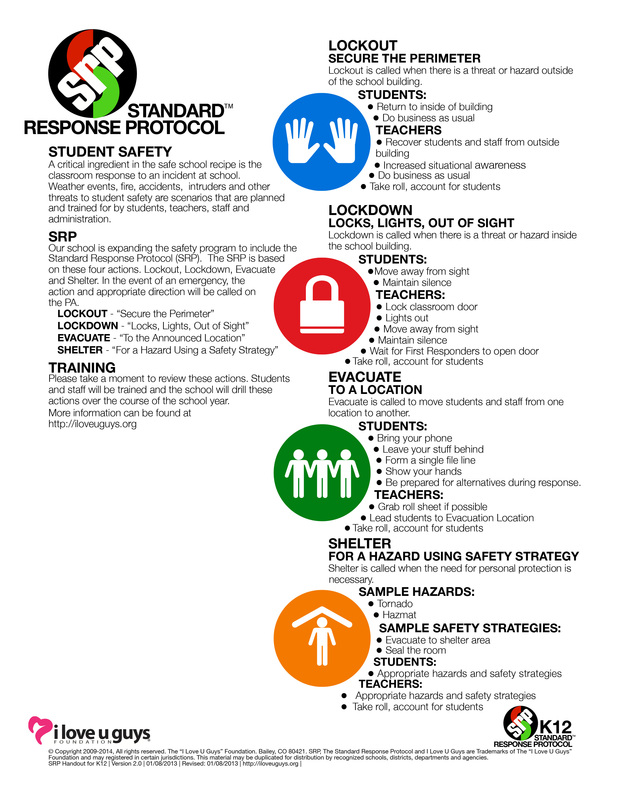 Weather events, fire, accidents, intruders and other threats to student safety are scenarios that are planned and trained for by students, teachers, staff, and administration. Click here for detail instructions on Safety Information. At LAPS, the health and wellness of our students are a high priority. We believe that a student’s mental and physical health is strongly linked to his or her overall academic success. We are fortunate to have dedicated and talented counseling and nursing teams at LAPS and enjoy the luxury of having a nurse and at least one school counselor at each site. If you have questions or concerns about the health of your student, contact the staff at your school. It is the policy of Los Alamos Public Schools that every effort should be made to administer all medications at home. When it is necessary that students receive medication at school, arrangements should be made with the school nurse. A nurse can administer medications at school if the proper forms are completed and have the required signatures. Different types of medication may require different forms. This could include approval for over the counter meds, prescription meds, inhalers, or other medication necessary for chronic conditions. Below are some quick guidelines for administering medication at school; however, if you are unsure which forms you should complete, contact the nurse at your school. When it is necessary that a student receive medication at school for a chronic health condition, a Los Alamos Public Schools Permission For Administering Medication In Schools form must be completed each school year by a physician licensed to prescribe medication in the state of New Mexico, the student’s parent or guardian, the school nurse, and the principal. If a student has asthma, it is also necessary to notify the school nurse and complete a Student Asthma Information form. A parent who wants a student to carry an inhaler should speak directly to the school nurse to make these arrangements, and to discuss having a back-up inhaler available in the nurse’s office. If a student has a short-term medical problem requiring self-administration of medication at school, the student or parent should notify the nurse. Arrangements can be made to bring one day’s dose of the medication, appropriately labeled (student’s name, medication name, dose, what it is for, when it is to be taken) to school. Students are not allowed to carry bottles of medication containing more than one school day’s dose. Students are also not allowed to share medication at school. Law requires a nurse to have an order from a physician in order to administer medication. School nurses may not administer medications at school outside the rules already discussed. This applies even to over-the-counter medications such as Tylenol. It is important for students and parents to plan ahead when medication at school is anticipated. For example, arranging medication needs in advance, for conditions such as migraine headaches and asthma, will help the school nurse keep students safe and comfortable at school. Whether or not to keep a child home from school isn’t always an easy decision. It is obvious that a very ill child does not belong at school, but there are lots of days when common sense isn’t enough to make the choice. The following discussion may give parents some helpful guidelines. To begin, children with fevers should not be in school. Remember that ill children sometimes have normal temperatures in the morning but become feverish by afternoon. A child with a fever the afternoon before a school day should stay home the following day. Returning to school is appropriate after 24 hours of being fever free. Definitions of “fever” vary, but it is generally accepted that the line is crossed somewhere between 100 and 100.4 degrees F. On the other hand, some children feel very ill with small temperature elevations. Conditions making students too uncomfortable to participate in class are also reasonable grounds for remaining at home. Examples are urinary tract infections, painful injuries, and nagging coughs. Sometimes the school nurse can help make students more comfortable and keep them at school. An example is the administration of pain medication as needed for healing fractures (see the section on Medications at School). Parents may also consult the school nurse with questions about whether or not to keep a child home from school, or with questions about how the school environment might be modified to accommodate a student’s problems. Finally, children with contagious diseases, spread by contact or coughing or sneezing, should stay home. Examples of these are influenza, chicken pox, and strep throat. A child with strep throat may return to school after 24 hours of antibiotics if feeling well enough. Recent reports have stated that the common cold is most contagious during the first three days of infection. Of course, every child with a sniffle cannot miss school, but consideration for other students and staff is expected and appreciated. Children should be reminded to use tissues to cover coughs and sneezes and ESPECIALLY to wash hands frequently. Children with colds should be kept home as appropriate. Constant coughing and sneezing are sufficient reason. Another infection condition is conjunctivitis, or “pink eye”. Though the state Department of Health no longer requires exclusion of students with pink eye from school, most Los Alamos pediatricians recommend staying at home for the first 24 hours of treatment. Parents may request that the school nurse check on a child returning to school after an illness. Sometimes a child seems well enough to return to school in the morning but parents are concerned that the child may not feel well later. The PowerSchool Parent Portal is the school district’s electronic student management system where student information is collected and stored. The Parent Portal gives parents access to information about their children. You will need a User ID and password to access this system. Use the form below to send a request to get a Parent ID from our Systems Manager. For students, please visit the counseling office to retrieve your PowerSchool account. Our school district has contracted with SchoolMessenger, a leading provider of notification services for parental outreach, emergency broadcasts, student attendance alerts and other communications for education. The SchoolMessenger system is designed to automatically notify parents for reasons that impact the safety and academic performance of students. SchoolMessenger will extend the district’s existing community outreach efforts and emergency preparedness procedures, as well as inform parents of upcoming school events such as statewide testing and parent meetings. As a comprehensive communication tool, SchoolMessenger will contribute to the district’s involvement initiatives, allowing the district to engage the broader educational community about a wide range of topics affecting students’ academic success. SchoolMessenger will not replace current school communication methods. Principals will still be accessible for live visits and will continue to communicate via current methods including paper-based memoranda. 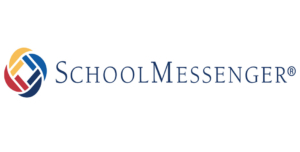 The district’s acquisition of the SchoolMessenger system is intended to extend its commitment to remain personally connected with parents by offering additional and timely communications. To learn more about SchoolMessenger please visit their web site at www.schoolmessenger.com. The Resource Advocate program provides wrap-around case management and assistance to school age children and their families. 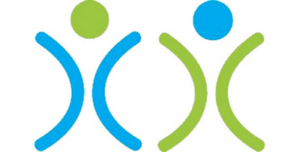 The Resource Advocates are available to help families connect to services and resources, find the support they need, and overcome any barriers to seeking or receiving services within the community. What can be referred to the JJAB Resource Advocate Program? Who can make a referral from LAPS to JJAB Resource Advocates? Staff who initiate a referral need to notify the school administrator and counseling team. 1. Staff identifies a student/family that meets the referral criteria. 2. Notify the school administrator and school counseling team. · Access and complete the JJAB Resource Advocate Program Referral Form. · Meet with the family to complete the referral process. 4. After the JJAB Resource Advocate intake is complete, the following information may be requested as needed: grades, attendance, assessments, and SAT/504/IEP information and other applicable referral documentation. 1. Staff identifies a student/family that meets the referral criteria. 2. If parent does not wish to have the school make a referral, staff can provide parents with the JJAB flyer that includes contact information, and the parent can request an intake with the JJAB Advocate directly. 3. If after initial intake, the parent would like the JJAB advocate to be involved at school, the advocate can obtain a confidential release and provide it to the school prior to initial consultation with school personnel. * In acute or crisis situations, (with parent/guardian permission), it may be appropriate to call a Resource Advocate directly. Whenever possible, s/he will respond to help a family right away. Use of the District’s name and the seal is prohibited unless approved by the Superintendent and the Board of Education. Users of electronic communications resources must abide by this statute as well as by District policies on the use of the District’s name, seals, and trademarks. Los Alamos Public Schools is ranked as one of the premier school districts in the United States. LAPS serves as the primary school district for Los Alamos County, a county recently recognized as a Top 10 County for public schools. See links below on our outstanding achievements for the school district and our outstanding partnership with Los Alamos County.